Fresh off the success of Keanu Reeves’ groundbreaking action film “John Wick,” which Chad Stahelski directed and David Leitch produced that has finally redefined the action movie for the 21st Century, the pioneering duo bring their unique vision in stunt choreography in the latest game-to-movie total reboot of “Hitman: Agent 47.” Directed by Aleksander Bach, a noted commercials director making his feature film debut, from a screenplay by Skip Woods (“The A-Team”) and Michael Finch (“Predators”) and a story by Woods, “Hitman: Agent 47” stars Rupert Friend in the titular role along with Hannah Ware and Zachary Quinto. Known only as 47, Friend dons the custom-tailored suit of the deadliest assassin who was genetically enhanced since conception bent on breaking the syndicate out to unlock his secrets as the undefeated killing machine the world has ever known. With two mysterious characters in tow, Katia van Dees (Ware) and John Smith (Quinto), 47 is on a race against time to fulfill his mission while he stealthily dispatches an entire phalanx of soldiers and unknown operatives in a series of split-second action sequences before they even realize he’s there. Among the company’s fans is Rupert Friend, who notes, “87-11 doesn’t just create arbitrary fighting styles. Each character has a distinctive style.” To that end, Eusebio, Valera and stunt coordinator Chris O’Hara made John Smith a brawler with a big haymaker-punching style. He’s very much a bull-in-a-china shop, while 47 is a far more tactical fighter. 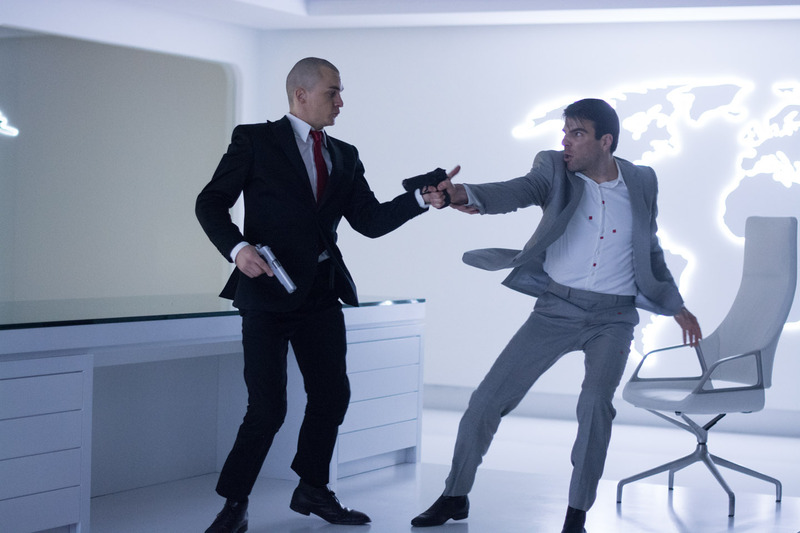 “Hitman: Agent 47” opens August 19 in cinemas nationwide from 20th Century Fox to be distributed by Warner Bros.